We offer you private transfers from Naples airport, Naples central station or any other location in Naples to Ischia. Our services include ferry, hydrofoil or private boat transfer with a car at each end. Isclatravel arranges comfortable private transfer services with an English speaking drivers. Our transfers are organized in a way to suit all your needs and to make your arrival to Ischia pleasant and relaxed. Our driver will collect you at the Capodichino airport or at the Central Railway station (Stazione Centrale) or any other place within the city, accompany you to a new comfortable Mercedes car and take you to a needed maritime port of Naples. We will buy for you your ferry/hydrofoil tickets in advance as a part of the package so you won’t need to wait in a line for them. Private boat transfers from Naples or surrounding to any port of Ischia are also available. We have low prices thanks to our own car park! Throughout the duration of your booking we will keep in touch with you and we will be available at any moment so you could report to us any problem or delay you have. Our English-speaking agent will answer all your questions concerning your arrival, will rearrange your transfer in accordance to your new needs and will do her best to help you solve any problems if necessary. We constantly control our e-mail and phone so you will be called/texted back in a minute. To book this service please send an e-mail to info@isclatravel.com with the subject header “Private transfer from Naples to Ischia” or use this form. 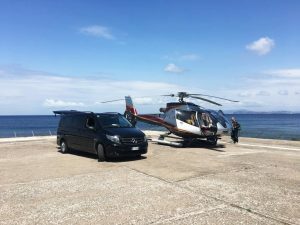 More information about "Private transfer from Naples to Ischia"?